One of my Macs was doing something strange recently. A new account that was created (using Windows Migration Assistant) would sometimes not show up on the login screen. I noticed this happened only after a restart. All other accounts would be there on the login screen except this new account. However, after logging in as one of the other users and logging out, the new account would show up. 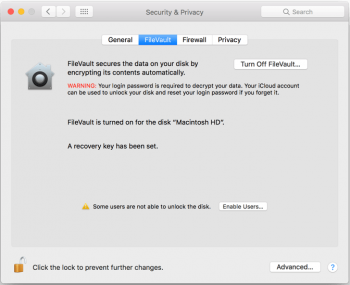 It turned out that the problem was with FileVault settings and was easily remedied. To fix, open System Preferences. Click on Security & Privacy. 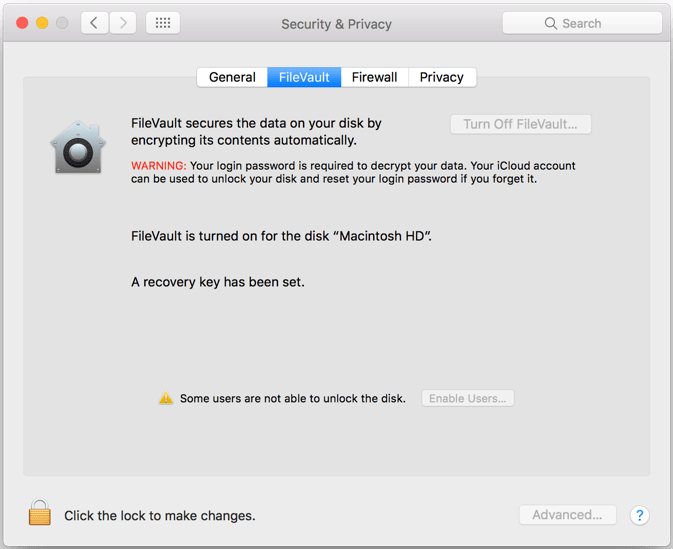 There should be a message that says "Some users are unable to unlock the disk." Click on the padlock button at the bottom so that the Enable Users button can be clicked. Click the Enable Users button, this brings up another dialogue box. Click Enable User next to all the users that you want to enable (probably all of them). The password for the user being enabled then has to be entered. Once the user is enabled, a green check mark is shown them. Getting back to FileVault settings after enabling all the users will no longer show the message about some users not being able to unlock the disk. After I followed all those steps my new account would always show up on the login screen. Success! In this case testaccount is the account that will be removed from FileVault.